20 players, 5 professional UEFA licensed coaches, 14 different nationalities, 11 training sessions, 4 matches played & a success stories in the making! 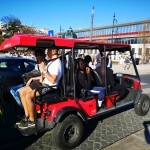 Our current trial in Portugal was sold out. 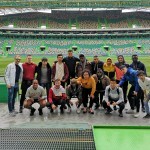 The 10-day event in Sintra follows the Fieldoo trial premise, a unique experience with a sole purpose to give our players a chance to present their talent directly to clubs, scouts, agents and other relevant industry people in the place of event and beyond. 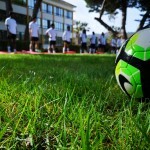 It is a three stage process, starting with assessment of the player by the trial coaching staff and Fieldoo experts. We continue with professional games and, if the player is chosen by the club, with the signing of the contract and details following the arrangement of it, where Fieldoo offers complete support. 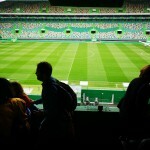 The Portugal trial includes four competitive matches, 11 training exercises, football lectures, recordings of games, and video analysis of the matches. 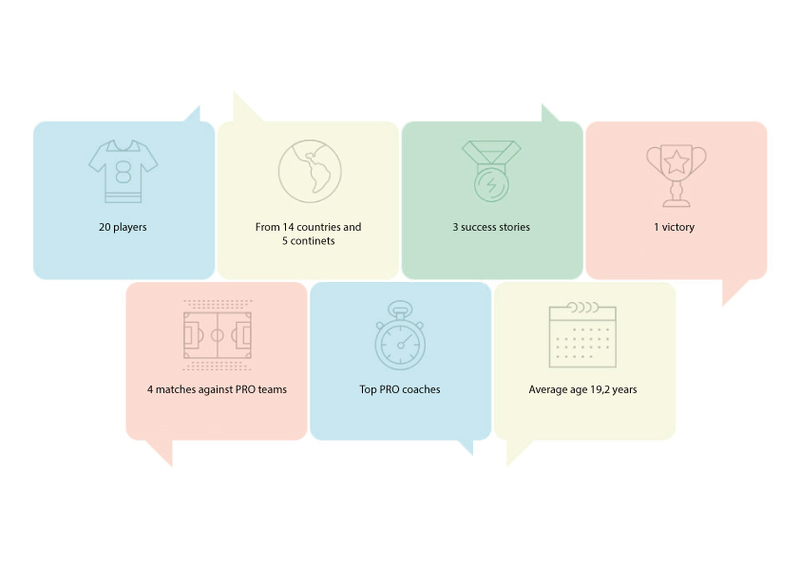 Fieldoo trials are a unique experience with a sole purpose to give our players a chance to present their talent directly to clubs, scouts, agents and other relevant industry people in the place of event and beyond. 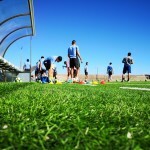 It is a three stage process, starting with assessment of the player by the trial coaching staff and Fieldoo experts. We continue with professional games and, if the player is chosen by the club, with the signing of the contract and details following the arrangement of it, where Fieldoo offers complete support. “I'm really happy to be coached by the top coaches in Portugal." 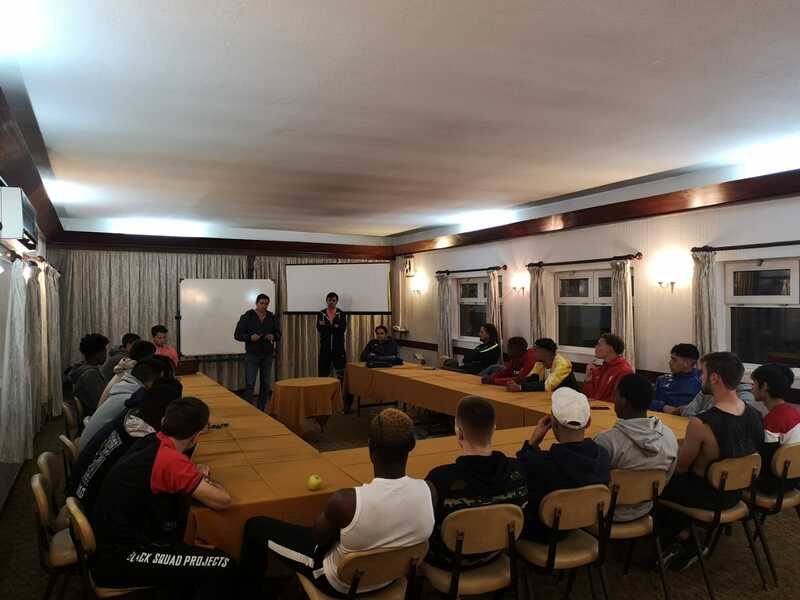 We started as always, with presenting the players with a basic schedule of the trial and reminded about the importance of having professional attitude in order to make it in the football world. The coaching staff did not lose any time, so we started out early in residency garden with Bruno, the strength and conditioning coach, leading the training and assessing players’ basic physical abilities. Our basic point is that players have to come, not just in shape, but on top of their game to the trial. 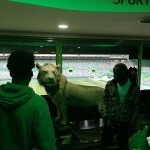 Some players immediately started to stand out with their physical abilities, and Emanuel, the head coach was eager to test them on the pitch. The coaches had had a very clear task and instructions from Fieldoo. 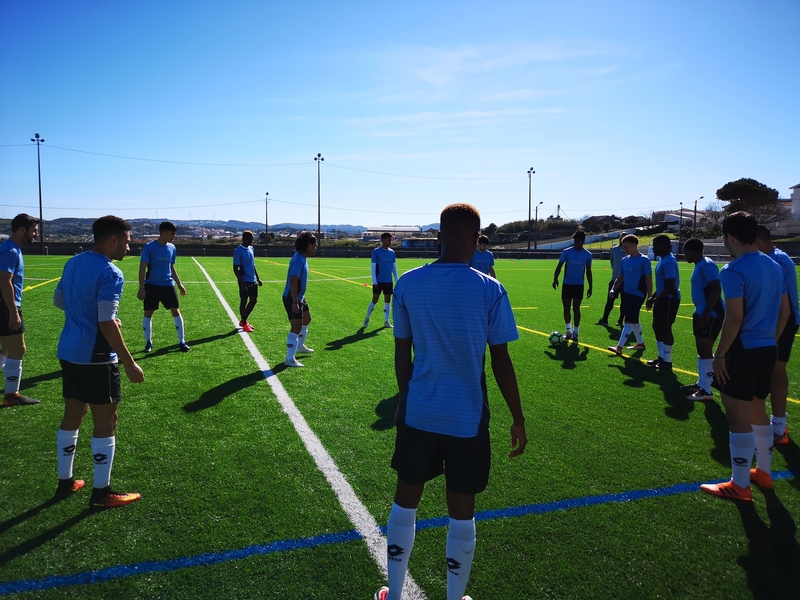 Assess the players, recognise their level of play, instil the Portuguese style of play and inspire the boys to become a team in a very short time. 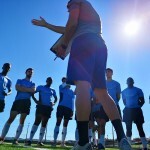 The training process was planned and designed to the last detail, starting with daily morning technical pre-training meetings, where the players were briefed about the next training session. 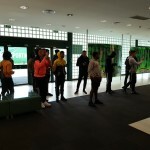 The players were eager to impress the coaches and as well the coaches did not held back, starting the trial with high intensity training session that was very demanding on players. That was not it, as every day was closed with another technical post training analysis. 100% dedication in every training is the only guarantee of success. And that goes for coaches and especially for our players. 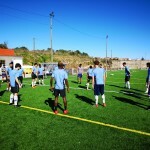 The trial programme included 10 training sessions for players of different intensity. From basics of Portuguese style football, to high intensity drills and tactical positioning in defensive and offensive plays. 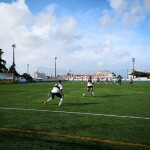 We make sure that the games and opposition are suitable to the level of our players. 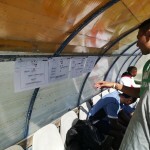 As Fieldoo trials are selection based, our experts make sure that the teams we play against are challenging. There is no point in playing games where our players either lose or win heavily. In order to show that you indeed have what it takes, you need to play against the right opposition. On every trial we set up a number of games that suit the purpose of the trial…assessment and opportunity to showcase your talent. And by that prepare a great foundation to score a contract. player career developing to become a PRO." 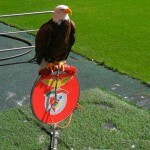 At our current Portugal trial we played 4 competitive matches. Normally we organise 3 games, but at the current venue we went a step further and made it 4 games. 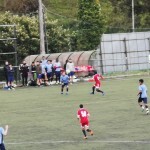 In the first week we played with 5th division and 3rd division team with the goal of finding the chemistry of the team in strong training sessions. 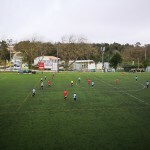 The challenge came in the second week where we played with a strong 3rd division team and legendary football club academy team. 1 win out of 4 does not sounds like much, but the progress that players showed as a team during the 10 days was spectacular. 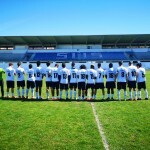 From a relatively poor first game against 1º Dezembro, where the players were introduced with Portuguese football intensity and were outplayed 1:4 to a really competitive match against Sintrense team, a very solid 3rd division team, where some of our trialists actually outplayed their rivals. A very impressive progress in a short period of time, but as well quite revealing one for most of our players. Players also have to dominate the game off the pitch; a virtue that is clearly being ignored by the industry, yet in our opinion this is one of the most important things in the industry, especially with younger players. 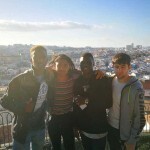 3 lectures and a bonus of meeting with Levante international academy director Daniel. 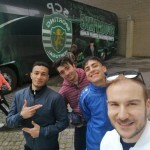 Our coaching staff, along side with our trustful representative and head of the trial, Hugo, provided the players with a valuable insight on how Portuguese football system works, how the recruitment process works in main football categories and divisions, what is the methodology of the club system in Portugal, what can they expect from potentially playing here and more. 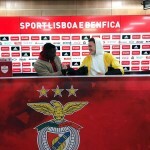 A unique insights coming directly from coaches and agents that are actively working with clubs in Portugal. Top information, that is not available to most of the players out there. other motivated players and playing against PRO teams." 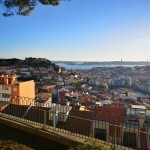 All work and no play makes Jack a dull boy – whilst it’s important you keep your performance levels high, we understand that you’ll also need some time to relax and enjoy the beautiful city of Lisbon. 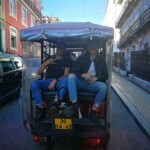 On that note we organise a tour of the city and, since football is a religion to us, a visit of Lisbon Cathedrals – Benfica/Sporting stadiums. Fieldoo trials are selection based and this time we were right again with our selection. Even though we always have success with trialists, Fieldoo cannot guarantee it. We do not fake stories or success. Success comes out of players dedication, grit, football, and our job is to provide the opportunity and present it. After the poor first performance we heard different feedback from the game played in the stand (agent, scouts talks and assessments). But after rain the sun always comes. The players delivered on and off the pitch. 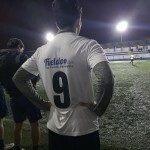 Feldoo provided the opportunity and the players seized it. We are working on success stories as you reading this. 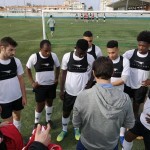 We immediately had direct success stories of a players being invited to club trials, and as well to top academy trials. 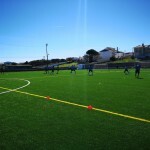 One player was directly presented with an option to get contracted by a club and a number of players that will be tracked by clubs in the next months and invited on the trial in a couple of months, when a new season preparation stage begins for Portuguese clubs. 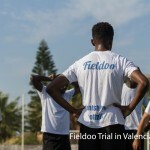 And of course, our job does not stop at the end of the trial; Fieldoo is already arranging club trials in different countries for top prospects from the trial. fields and I love the Fieldoo program. It improves me and my skills. 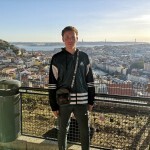 I'm really feeling like a Professional football player"
We want to thank all our users for attending the trial and we invite YOU to our next trial in Spain and other places which are available on Fieldoo Market. Invest in your career and get a chance with Fieldoo Trial! Looking for a trial or a new club? Join Fieldoo!